the signs of aging. Dr. Barrios has over 6 years experience injecting this product. Ideal wrinkle reduction is achieved by replenishing your skin's lost volume. Upon injection, RADIESSEÂ® Volumizing Filler immediately provides the volume and lift needed to diminish the signs of aging because of the calcium-based microspheres and gel that comprise the product. But what's unique about RADIESSE Volumizing Filler is that it acts as a scaffold under the skin, providing structure and stimulating your own natural collagen to grow. This process continues for several months, which extends the initial effect of RADIESSE Volumizing Filler. Best of all, the natural results are clinically proven to last a year or more in many patients, which is why more and more cosmetic surgeons, dermatologists, and other medical professionals are choosing RADIESSE Volumizing Filler to achieve long-lasting facial rejuvenation. 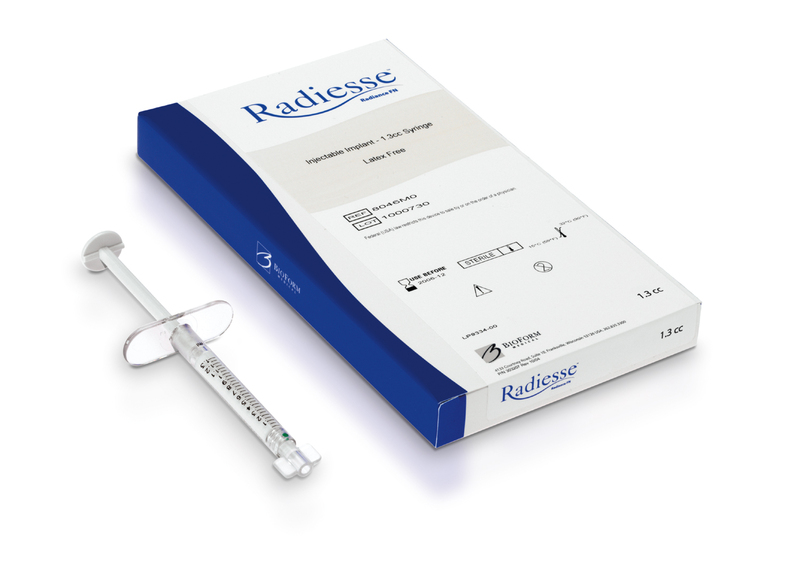 The components of the Radiesse™ implant have a long history of safe and effective use for medical applications. Use of only a relatively small amount of implant will provide results that will make a lasting difference. and may not be combined with other special offers or discounts.